In her spare time outside of school, Shelley Sommer writes an occasional book and reads everything she can get her hands on. She also blogs—about books. Categories include: picture books, chapter books, graphic novels, books for young adults, books for adults, and books about books! As the director of a school library and a middle school literature teacher at Inly School in Scituate, Massachusetts, I have the opportunity to read lots of books. Depending on the day of the week, I have many books that I consider my favorites. I received my masters at the Center for the Study of Children’s Literature at Simmons College in 2005. 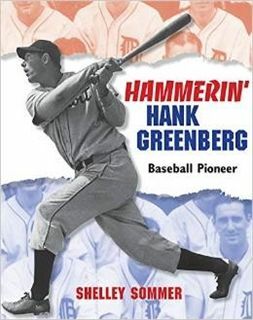 I am also the author of two biographies for young readers: John F. Kennedy: His Life and Legacy and Hammerin’ Hank Greenberg: Baseball Pioneer.Hammerin’ Hank Greenberg was named a 2012 Sydney Taylor Honor Book and a spring 2011 selection of the Junior Library Guild.